Both the young girl and the dog are tethered. 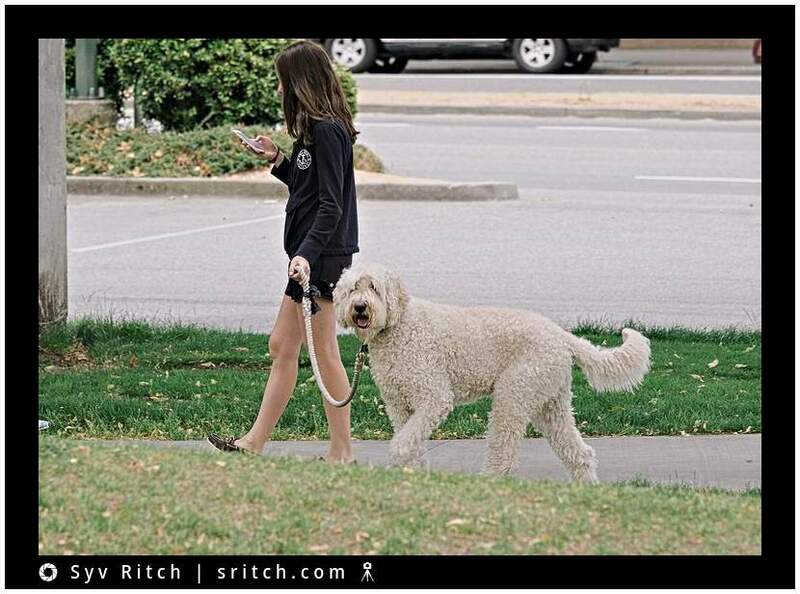 The dog with his leash, the young girl with her smart-phone. She was totally oblivious to everything around her. For me, walking my my dog is a ‘team sport’. I try to make it a team sport, but my dog is not a very good team player. He tries to walk faster than me. He uses me as a shield, he goes to my left when something worries him on his right and then he switches to my right when something worries him on his left. At the beginning, I tried to make him walk on my left, then I realized that his most important need was my protection. To my dog, protection is far more important that any food or any shelter.